Touch Screen Technology - Tech Global Inc.
What makes our touch screen monitors smarter. 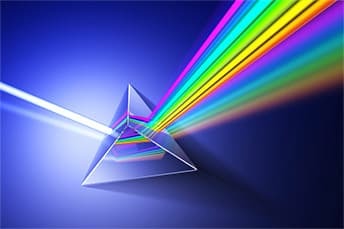 Tech Global’s Spectrum-Touch is an advanced infrared system that refracts the LED light through a crystal prism light guide from LEDs beneath the display glass. 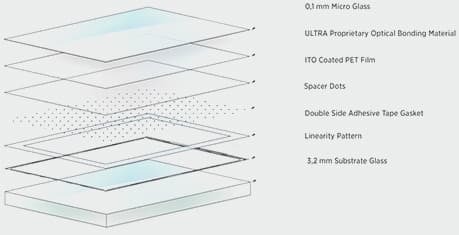 This design protects the touch system from dust or damage while providing a beautiful 3mm thick edge-to-edge display. Spectrum-Touch is an ultra fast 10 point multi-touch system. Spectrum is Windows 8 logo certified with swipe zone, HID compliant plug and play ready. Tech Global’s Surface Capacitive Touch Technology provides superior optical performance with extreme endurance and reliability over long periods with extensive use. 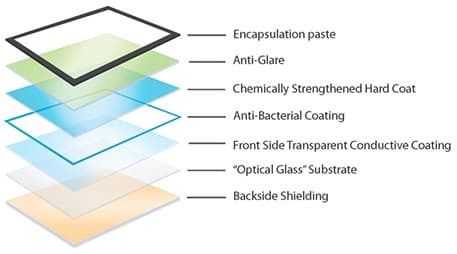 All-glass construction with a transparent conductive ITO coating on both sides of the glass provides superior performance. Designed with Antibacterial Technology that fights the spread of bacteria. Dynamic-Touch was designed with “Human Intentional Touch” (HIT). Only a human finger or special capacitive stylus can activate a single-touch point not any contaminate or unintended object. For this reason, Dynamic-Touch is the proven legacy technology in today’s command and control and mission critical environments. Tech Global’s Evolution-Touch is the next-generation advancement of our very successful Dynamic-Touch. Evolution is engineered with projected capacitive technology that provides 10 points of multi-touch performance with ultra fast precision touch response, over long periods with extensive use. Designed with an All-glass 3mm G+G PCT construction, Evolution-Touch provides superior high-performance, durability and reliability that are unmatched. Evolution-Touch also requires “Human Intentional Touch” (HIT). Only a human finger or special capacitive stylus can activate single or multiple touch points. Screen contaminates or unintended objects cannot activate this technology. 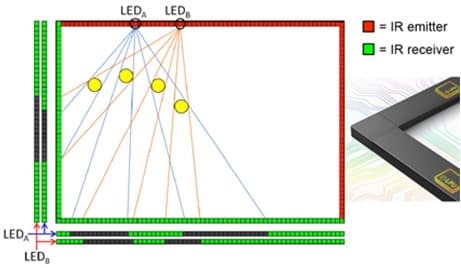 Cell imaging patented design utilizes independent Light Processing Units (LPUs) and optimized touch point detection algorithms, to provide stable and superb performance. These exclusive algorithms are optimized for hand-writing in unique applications such as whiteboards. Cell Imaging Technology offers superior multi-touch performance with industry leading sample rates, touch accuracy and maximum detectable touch points. As a result the multi-touch sensors, are used in a wide variety of commercial applications and can be found in the most demanding environments. ULTRA-Touch exceeds the requirements of resistive touch technologies and also has significant advantages over conventional resistive solutions used by the military.